Testimonials | Joyce A. Julian, P.A. Paul has handled my last two divorces (don’t ask) in an extremely efficient manner; during each divorce he kept me informed each step of the way and very effectively represented my best interests. I deal with several attorneys for business and Paul is more accessible and willing and able to keep me informed of my legal options than any attorney I’ve ever dealt with-I’m thankful for his help and should I get married a third time I’ll definitely hire him to draft a pre-nup. David S.
I interviewed several lawyers before hiring Joyce Julian and what I liked most about Joyce was her candor and directness about me and my wife’s finances and my obligations. Joyce did not sugarcoat her analysis-I felt every other lawyer told me what they thought I wanted to hear so I would retain Him or her. I went into mediation with a very clear picture of what might or might not happen in my divorce and although I was not optimistic that my wife would settle, Joyce and her partner Paul encouraged me to be optimistic and after a lot of back and forth and what Paul described as “needless posturing” by my wife’s lawyer I walked out of mediation with a very fair settlement agreement that was close to what Joyce formulated at our first meeting. I strongly recommend Joyce’s firm to anyone going through a divorce who is seeking honest and hardworking lawyers who are straightforward and well educated in the law. Russell A. During my recent paternity case I was told by several friends and family members that as a father I’d have less time and rights with my son than the mother. When I hired Paul he explained to me that there was no law or rule that the mother have more time or rights with a child, but I didn’t really believe him. I quickly became very impressed not only how well Paul knew the law but how good he was in dealing with my child’s mother’s attorney and the Judge. After a couple of months and two trips to court I get to spend more time with my son than I ever expected-any time I have a question I call Paul (I even have his cell#) or his assistant Liz and they always have the answer. I am so happy I hired Paul and didn’t take everyone else’s advice about not fighting for my parental rights. Bryan J. Before I met Joyce Julian and her wonderful staff four years ago, I was scared, confused and depressed because my marriage of 22 years was falling apart and my wonderful husband was threatening to leave me and our three children penniless and homeless. Not only did Joyce explain Florida law to me, her experience and kindness helped me through the most difficult time of my life. If Joyce couldn’t take my call her partner Paul or assistant Colleen would help me. Needless to say I’m in a much better place now both emotionally and financially because of Joyce. In the last four years, even after my divorce, I’ve always relied on Joyce for advice and she’s never too busy to answer my questions. I’m not ashamed to say that I don’t think I could have handled my husband’s abuse and threats without Joyce’s strength and guidance. 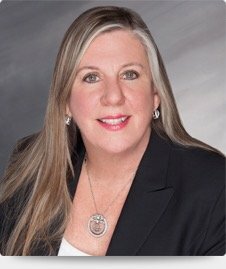 Donna M.
Paul was the first lawyer who I met with who took the time to explain to me all the factors a Judge considers when a parent wants to move more than 50 miles away with children; my son’s mother was threatening to move to Georgia from Florida with our daughter. Upon hiring Paul he immediately contacted the lawyer for my son’s mother to schedule mediation and at mediation Paul, after a long fight, actually negotiated a custody agreement where I was gladly surprised that I got primary custody of daughter; in two years my child’s mother has moved three times but my little girl remains safely living with me-thanks Paul! Manny V.